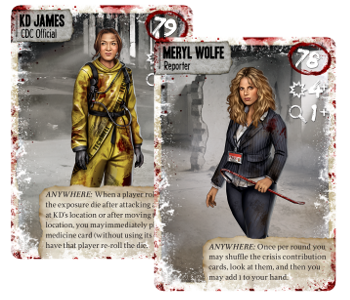 Bonus: Inside every Raxxon Evacuation Kit is 2 brand new, exclusive Dead of Winter characters! 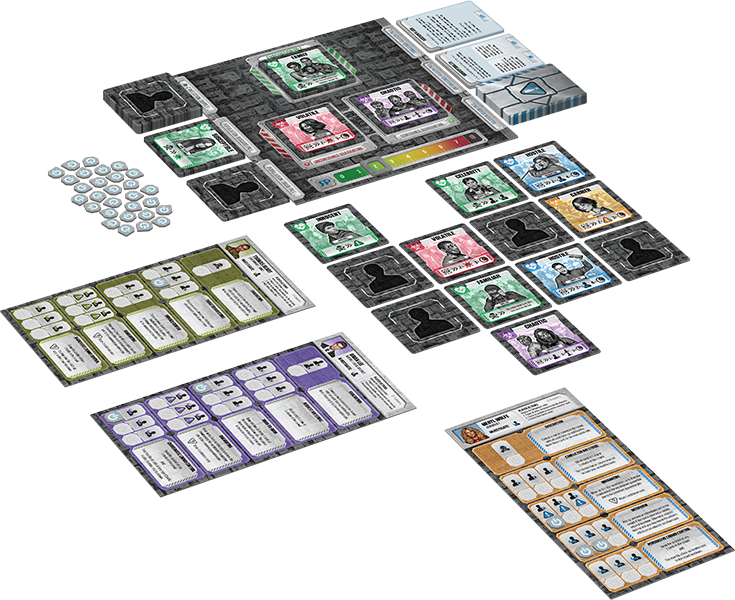 Meryl Wolfe and KD James fight the outbreak in Raxxon, and now join the colonies of Dead of Winter. Each comes with a character card, standee, and crossroads card.